JUST HOW POPULAR IS RIVER BOAT CRUISING? As you explore our site, you will discover that river boating the most scenic waterways of Europe is, quite literally, the fastest growing segment of the entire travel industry. During the last five years, traditional big ship cruising enjoyed an annual increase in number of guests of between 4-5%. River cruising in Europe, by contrast, has grown at an annual rate of 16%. Twenty-two new river boats will be launched in the next twenty-four months. DO RIVER CRUISES DELIVER A TRUE, FIVE-STAR EXPERIENCE? Not within Europe. A few boats reach four-star status but no river boat company in Europe is currently rated five stars. Most river boats are leased and come complete with crew. The vast majority of crew members come from countries in Eastern Europe where hospitality industry training is not up to US standards and English language skills are often lacking. 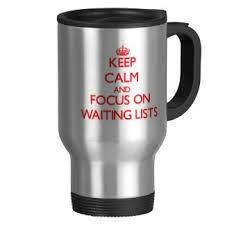 Given current per diem costs, European river boats cannot afford to offer the levels of service, cuisine, wines, entertainment, lectures, and staffing one would expect to find on the cruise lines that have made our often-quoted, “Top Ten Luxury Cruise Lines List”. Given the availability of well-trained crew, sailings aboard river boats in Vietnam, Myanmar and China, are almost rated higher than their Europe-based counterparts. There is also the matter of a river boat’s actual physical dimensions. Galleys are not large enough to offer the variety of food and the innovative cooking techniques found on many five-star cruise ships. Lecture and entertainment venues are sparse and most accommodations are built on a pre-fab basis with inadequate sound-proofing between cabins. The answer to that question may have changed with the rather startling announcement from Crystal Cruises that it was entering the River Boat market with two new 140-Guest vessels to launch in March of 2017. Construction has already begun at the German shipyard, Lloyd Werft. This is the same shipyard that will be building Crystal’s three new 1,000-guest luxury cruise ships. Reservations for the new river boats will open on December 1st of this year and those seeking the very best available river cruise experience may want to wait until that time to book Crystal in the summer of 2017. 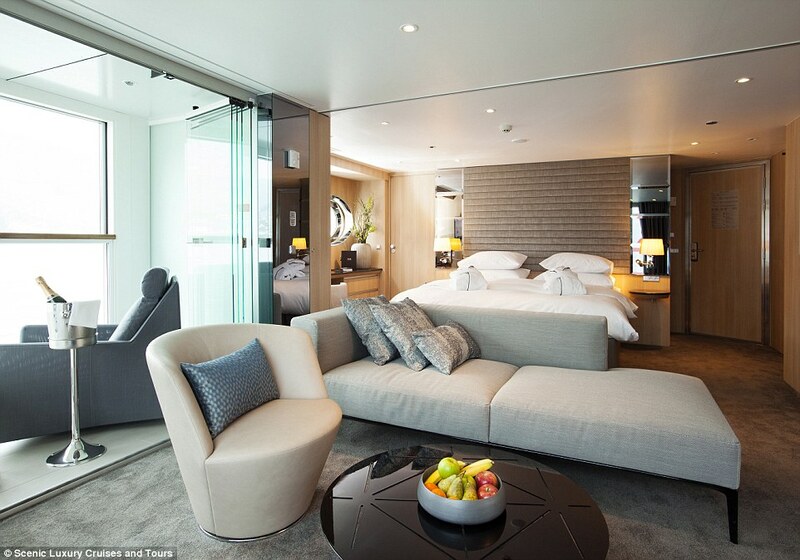 River cruise insiders believe that Crystal needs to be extremely cautious about over-promising five and six-star luxury. Given Crystal’s financially strong new owners, Genting Hong Kong, and its history of world’s best awards from the travel press, the likelihood that Crystal can become the most luxurious product sailing Europe’s rivers is strong. But as we have pointed out, there are operational problems for any boat this size that must conform to the water levels, the bridges and height restrictions, thw water traffic, and the relatively small footprint of on-board facilities when compared to a larger ocean-going vessel. How, for instance, do you turn out Crystal quality food from a significantly reduced galley space? How do you find the level of service when you are increasing your cruise capacity while, at the same time, ending your relationship with your former owner’s (NYK Japan) excellent training facility in Manilla? The vessels will sail in France, Germany, Switzerland, Holland, Belgium, Austria, as well as the countries of central and eastern Europe. Crystal has promised that their river boats will “deviate from traditional routes” and portions of every itinerary will include travel during daytime hours. This is significant as Crystal will be the first line to emphasize daytime sailing, a more relaxing option to all day – each day traditional itineraries. Crystal, we’ve been told, will be putting the rivers front and center in addition to the ports along the way. Will Crystal successfully navigate Europe’s rivers avoiding “congestion?” Let’s just say that their Marine Operations Department will have its challenges. The 140 guests will travel in 250 square foot suites and there will be two 500 sq. ft. Penthouses. 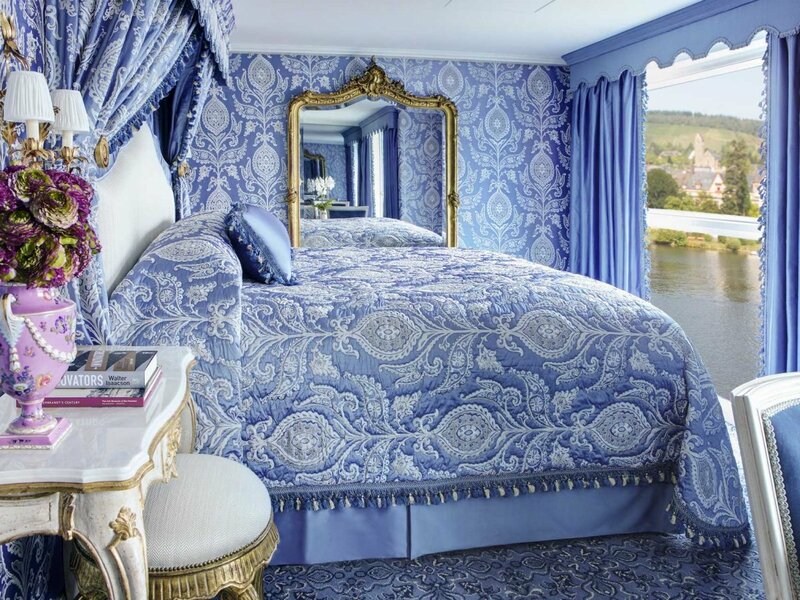 All suites will feature full-size King beds, the only river boats in the world with that feature. Each suite will have walk-in closets and the bathrooms will be large enough to feature double vanities. Crystal’s riverboats will feature a yacht-like design and they will have the highest space-to-guest-ratios in the industry. They are promising “six star service”. Shore excursions will be different. Look for arrangements to get guest’s entry to Michelin-starred restaurants ashore and a sophisticated on-board Concierge staff to assist Crystal’s well-traveled passengers. There will be “Active Exploration Adventures” that will include both electric and manual bicycles, hiking, Segways, and use of on-board kayaks. These adventures will not be included int he cruise fare but guests will receive one complimentary exploration per sailing. Our view is that final pricing and exactly what is and is not included will change several times before this new river product is available for booking. Perhaps you should. It is something we would want to discuss with you. There are bound to be start-up glitches during the first months of operation. Also remember that this will likely be the highest per diem river boat experience available in Europe. Finally, since the line will begin with 280 total berths, reservations should be made in the first week of December or, quite literally, on the day that reservations open. Space will fill quickly given that vast and affliuent core of past Crystal Cruisers. Will Crystal force us to revise our evaluation that there are not any river boats worthy of a five-star designation? The rewrite is already completed. 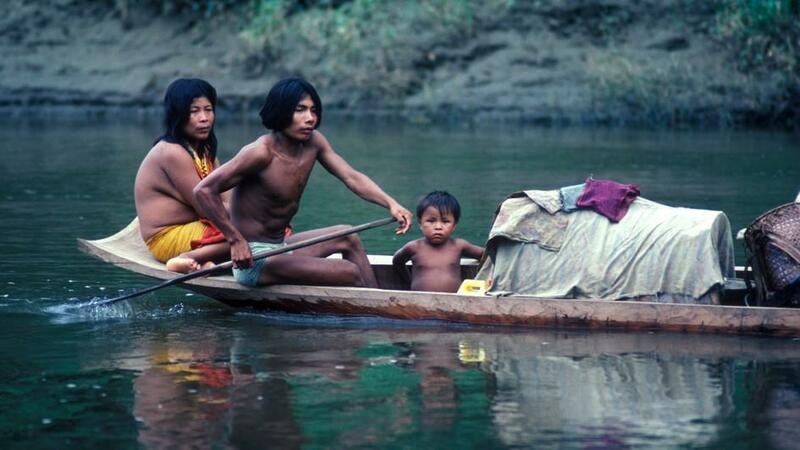 IF RIVER BOATS DO NOT DELIVER A FIVE STAR EXPERIENCE, WHY ARE THEY SO POPULAR? River boats generally provide vacations that are hassle-free. There is no travel within the trip to get to interesting places. Guests aboard river boats know they are going to be able to step off their intimate boat and be in a small city or lovely village within moments. They can walk to most of the major sites and they can be devoting their complete time in port to exploring local history, walking or hiking in the nearby woods, riding bicycles about their village, shopping, or sampling local cuisine. Most river boat guests actually do several things ashore. They take the morning walking tour and then often explore on their own. There is a real camaraderie among those who share a river adventure. Guests are almost always in sight of land, a factor that makes river cruising in Europe particularly attractive. The element of sightseeing while sailing is one of the really important differences between European cruises, where you are surrounded by water, and European river cruising, where you are surrounded by Europe. Cruises tend to stop in larger ports, those big enough to handle their specific needs. River boats ply rivers with local traffic, cruising past people living their lives in full view of river traffic. It is a more intimate experience than cruising. Finally, river boating is normally a semi-inclusive vacation options with shore excursions included in every port of call. WILL UNUSUALLY HIGH OR LOW WATER LEVELS RUIN MY VACATION? The effects of river levels is one topic the industry would prefer to ignore. If your definition of a ruined vacation means having your itinerary altered to substitute land arrangements for a river cruise or a partial adjustment to your itinerary, your total vacation could be affected. If nothing else, you would be packing and unpacking each night something most river cruisers would consider a major nuisance. Rivers can flood in the spring, as they did last year. 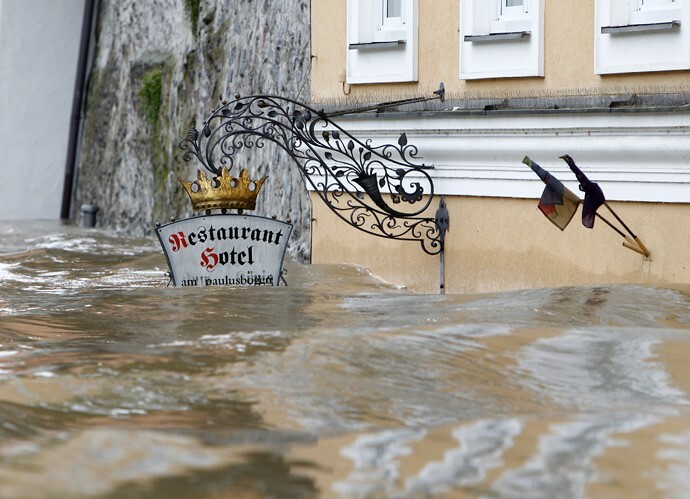 In fact, Europe’s weather patterns have been unusually severe both in terms of rain and drought in recent years.This year, there was heavy snow melt and rain in the spring, affecting some itineraries. 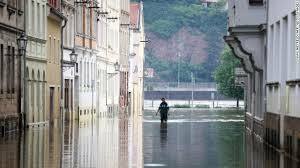 In June of 2013, historic flooding hit central Europe and particularly the area surrounding Passau. This June, low water levels along the Danube affected more than a dozen river boat itineraries. The problem with all of this is that river boat companies have not been honest about the problem in their online and printed marketing materials. Travel agents do not generally point out negatives, There are few statistics that seem reliable but the best estimates are that you have a 95% chance of your river boat vacation operating normally or normal enough with only one or two adjustments to itinerary. 01 – Do not expect to receive current information from river boat operators a day or two prior to your departure. The industry norm is to take a “water levels are unpredictable” attitude. That means you very well could arrive in Europe to discover you will be doing some bus touring on land. But the better lines offer future credits when this happens and make some effort to encourage guests to return again. This is where there are major differences between the highest and lowest rated lines. The river cruise lines correctly point out that a high percentage of their guests are already traveling in Europe prior to boarding. Very few guests arrive on departure day so it is more difficult to disseminate current information. 02 – The worst of the rivers in terms of likelihood of cancelled sailings is the Elbe. Many river boats on the Elbe with otherwise normal drafts have a hard time when levels are low. In the past several years, however, the Upper Danube has become an area of particular concern for river boat operators. 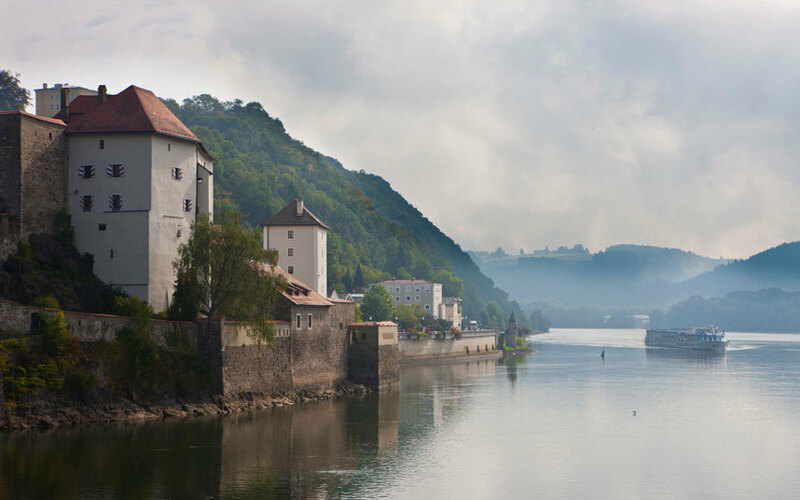 Low water issues have plagued the Upper Danube, the area between Passau and Regensburg. Given that the Danube is the most popular single river boat destination in Europe, this has affected more sailings for more lines than the press releases would have us believe. 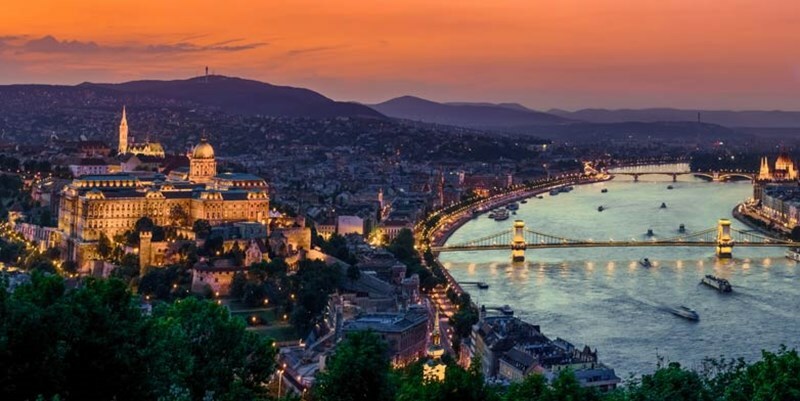 In fact, one major line, AMA Waterways, one of our highest-rated companies, has publicly acknowledged that it is trying to operate itineraries that avoid this portion of the Danube as much as possible.Their honesty on this matter should be recognized. The lower Danube has far fewer problems because there are power plants in Austria below Passau with dams that serve to keep the wayer levels stable. The Rhine River is being dredged to avoid future problems. The Main River also has dams which compensate for low water periods. 03 – Despite what you read online, the majority of Europe’s rivers are susceptible to navigation issues and it is almost impossible to choose a time of year when flooding or drought will absolutely not occur. 04 – One of the complicating factors is that the various boats within a fleet normally have different drafts. So one or two of a line’s boats may have issues and be unable to sail, while others have no issues at all. It is impossible to predict although some river boat nerds suggest avoiding any river boat with a low draft in the spring or fall. 05 – Water level problems are considered an “Act of God” and your insurance will likely not cover you. No river company currently has a policy that refunds guests who do not complete their itinerary as scheduled. 06 – One of the issues rarely discussed by travel journalists and agents is the fact that most lines, on most rivers, on most dates, offer a truly relaxing, rather extraordinary experience. When everything is going well, each product has its strengths. But industry insiders know which lines seem to fall apart when things do not go well. How well a river cruise line reacts to passenger dissatisfaction and unanticipated challenges, is a large part of our ratings. Never assume that all river cruise lines will react in the same way when things go wrong. They haven;t in the past and they won’t in the future. 07 – One fact that the industry would like to keep from the consumer is the fact that some lines have boats with a higher draft. A knowledgeable consultant will be able to identify which boats, for instance, require a five feet draft while others, require six feet. That one foot difference often spells the difference between an ability to handle low water issues and and a bus tour. It might surprise river cruisers that decisions as to whether or not a boat can operate during periods of high or low water comes down to matters of inches. And no European country where the boats operate has announced a bridge rebuilding program to allow greater clearance. 08 – Do not assume that bigger is better. Some lines have launched longer, larger, higher density versions of the standard size river boat. Viking River calls theirs “Longboats”. But if a boat is heavier than the norm, it almost always requires more draft. More draft equates to more water issues. 09 – Flooding was an issue in 2013. 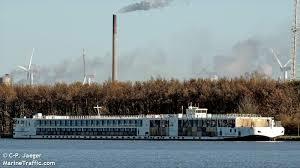 One of the major problems for river boat operators was the malfunctioning of an important lock near Vienna. But no one ever reported on this so consumers arrived in Europe unaware of the problem. Guests who used a trusted travel advisor may have been warned about this problem. People who book directly with a headset at the line will never be told anything potentially negative about the cruise they are planning. 10 – The chances of a river boat vacation being seriously affected by weather is considerably greater than you might experience on an ocean cruise where Captains have the option of avoiding bad weather and choosing alternative port stays. Ocean cruises are not affected by high or low water. So, if you are going to seriously consider river cruising, do so with a clear idea of the risk level and make certain that a change of plans that might include land arrangements will definitely not ruin your vacation. Unlike every other river boat web address, we don’t scream price or list phony deals, or hype “free air” that is not really free. Here is a fact you can take to the bank: Every top company selling European river cruises receives exactly the same offers, amenities, and price quotes. 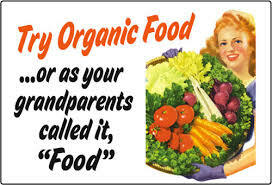 If we didn’t, we would not represent these products. Consumers routinely have their intelligence insulted with phony deals and silly claims of exclusive pricing. Think about it. If you were CEO of a company operating small boats with only 120 people, would you want to ruin people’s vacation by offering better rates to a handful of guests who might poison the atmosphere with their perceived “special deal?” We don’t play misleading and insulting price games. We qualify our clients for 100% of all possible discounts and we return 100% of these discounts in the form of a price rebate. WE ARE THE ONLY MAJOR CONSUMER RIVER BOAT SITE THAT DOES NOT ACCEPT ADVERTISING FROM RIVER BOAT COMPANIES WE REVIEW. We simply don’t understand how some of the so-called “critic” or “advisor” web sites accept advertising from the very product lines they are reviewing while claiming to be impartial. You will notice that we do not use crowd-sourced reviews from so-called “travelers”. We would need to know something about the specific travel experiences, intelligence, and sophistication of anyone purporting to write an unbiased review. We have them within the industry, but the consumer searching the internet is often reading a review planted by a team of digital marketing experts from the very companies being reviewed. They all have numerous e-mail addresses and online names. This is called “buzz marketing” and it is pervasive in the travel industry. No industry professional or journalist would ever place any faith in comments posted on so-called review sites. Our ratings are based on our own independent inspections, reports and evaluations from carefully chosen experienced river boat consumers throughout the United States and the best quality evaluations and reporting from both the consumer and industry trade press. River boat lines do not know when they are being inspected and we do not accept advertising or compensation in conjunction with our product ratings. There is a great deal of misleading information offered to the public about the relative merits of various river boat lines. The biggest lines have the biggest advertising budgets and, often, the smaller, higher-quality cruise lines are not as well-known. Some of the larger river boat lines have truly impressive TV ads, while their upscale competitors normally sell out and so require little or no advertising. We believe truly knowing as much as possible about the world’s top rated lines is the best first step to planning a truly memorable river boat or cruise vacation. We want to be certain that river cruising is the best option for your vacation. Those who are often disappointed by their river boat experience have sailed on one of the “Top Ten” inclusive, five-star rated cruise lines. The onboard service, food quality, lectures, shore excursion options, and the sophistication level of your fellow travelers on a river boat vacation will not match that found aboard one of the smaller, top-rated cruise lines. The better river boat companies charge per diems of $500-700 for their most spacious accommodations. But note, for instance, that the top accommodation on Tauck’s river fleet is the same size cabin as the lowest category on Regent Seven Seas. 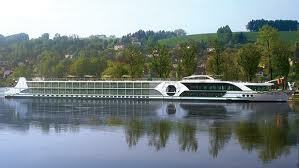 Do not choose river cruising because it is a bargain when compared to cruising the small, luxury cruise brands. Most of the lower-priced cabins on river boats are small enough to cause issues with guests who are claustrophobic. For most of the potential river cruisers we talk to, river boats end up being the right choice. But we will always want to discuss your specific expectations and needs to determine if you might be making a mistake. Whoever you speak to about river cruising, should be telling you the down as well as the up side of the experience. We are not a river boat Coke machine intent on spitting out bookings. We are fortunate enough to have incredible clients in forty-seven states and seven countries. We are looking for a long-term vacation planning relationship – not a quick sale. I THINK WE WANT TO PROCEED. WHAT DO WE DO NEXT? We know that guests who linger on riverboatratings.com are intelligent consumers and you will know what to do if you are in agreement with our approach, find our knowledge of river boating of value, and wish to work with us on a no-cost basis. You can reach any of the travel consultants or journalists whose work appears in these pages by calling us at 630 – 717 – 7777. An experienced Churchill & Turen Ltd. river boat concierge will answer the phone. Our staff does not work on commission. We do not employ any commissioned sales agents. If you prefer contact via e-mail, please write to us at documents@traveltruth.com Immediately following your initial contact, and only if the fit appears to be mutually comfortable, our award-winning Concierge Team will e-mail you our New River Boat Guest Application. There is a $100 Fee that we ask be sent along with the completed form. Within 24 hours of receiving your application, and payment details, you will be contacted by one of the world’s top river boat specialists whose only agenda is matching you with the boat and itinerary that best meets your needs. Don’t be surprised if we offer alternatives and try to talk you out of river cruising. It isn’t for everyone. Understand that we have been in business for thirty years and we currently have more people who wish to use our services than we can accommodate. We ask that you contact us only if you feel that our approach meshes nicely with your expectations of the kind of caring, personal relationship you can have with a luxury vacation consultant. We do have one bias: We prefer not to work with those suffering from serious humor deficiencies. 25% – Overall Service and Concern for the Guest’s Total Satisfaction. 25% – All-inclusive nature of the product and quality of shore excursions. 20% – Quality of Accommodations and On-Board Facilities/Amenities. 20% – Overall Quality of Food and Beverage Services. 10% – Sophistication Level of Fellow Guests and Staff. RIVERBOATRATINGS BOTTOM LINE: Tauck Tours is a Connecticut-based, family-owned business that entered the river cruise business in 2006. Though more expensive on a per diem basis than its rivals, Tauck offers the best overall river boat experience in Europe currently available. Tauck’s river boat programs cost more upfront but the company has zero “add-ons”. Inclusive amenities now include all gratuities, all shore excursions, unlimited wine and beer with meals and during the day, along with spirits, and airport transfers. We believe the most significant competitive advantage enjoyed by Tauck guests is the presence of an onboard Tauck Cruise Director and three highly-visible Tour Directors, who work for Tauck. 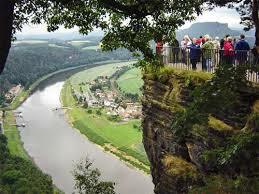 They provide a link to the quality one finds on Tauck’s absolutely First Class worldwide land tours. With more than 85 years experience as a tour operator, Tauck’s on-board staff presence can quickly resolve problems should they arise. 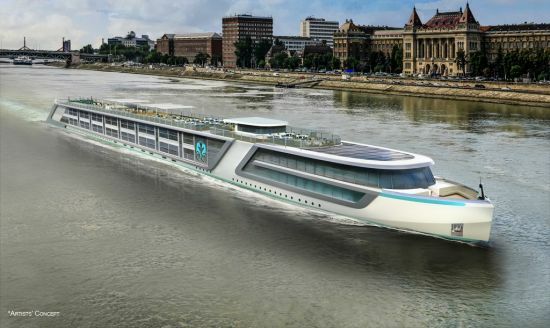 In terms of overall quality and product consistency, no other river boat operator in Europe can match Tauck’s overall quality, although that may be changing with a re-energized and constantly improving roster of close competitors and the announced, new Crystal Cruises river boat product. Although it is not in any brochure or discussed online, Tauck’s customer service policies far exceed those of any of their competitors. This is clearly a company that has “made things right” whenever there have been issues in the past involving water levels or service issues. Any river boat line looks good when everything is going well. Tauck manages to look good even when travel glitches occur. That has a lot to do with the fact that this is the only top-grade worldwide tour operator managing boats on Europe’s major rivers. If Tauck loses a river boat client, they lose a potential lifelong client who would have traveled with them to the corners of the earth. No other river boat company has that much at risk in delivering a superior product. Tauck has 90 years of experience offering escorted tours, but comes late to the river cruise industry, launching their first ship in 2006. The company offers an upscale all-inclusive experience with excursions, staff gratuities, on-board meals, wine and beer with dinner, and beverages including spirits available throughout the day, entertainment and port charges all included in the fare. On most Tauck Programs, pre and post land programs are fairly priced and Tauck allows guests to book extra hotel nights at negotiated rates that include transfers even if the air is not booked through the line. A popular feature is the shore dining option offering guests the chance to enjoy regional cuisine at local restaurants. A Tauck Cruise Director supported by three additional professionally-trained Tauck Assistant Directors facilitates culturally rich, mostly private, shore excursions and experiences. Passengers are normally quite pleased with the personalized attention and service they receive. Guest cabins satisfy with French balconies (sliding doors with rail guards) and floor-to-ceiling windows. The on-board experience is relaxed, spacious, refined and elegant. Tauck guests seem to sincerely appreciate the fact that Tauck simply does not ever “up sell” its product. There are no extra-fee tours or amenities. It is interesting that Tauck’s competitors have let them “own” this notion of true inclusiveness. Tauck is a family-owned travel company based in Norwalk, CT. Founded in 1925 by Arthur Tauck, his descendants are still very much involved in the business today. The Swiss Emerald, Tauck’s first company-owned river boat was launched in 2006. Two years later the Swiss Sapphire was launched, followed by the Swiss Jewel in 2009. The ms Treasures was christened by Robin Tauck who also serves as godmother of the ship, in an event held in Cologne, Germany in July 2011. In 2014, Tauck took delivery of two new ships, the Inspire and Savor. These ships represent a new class of river boats for Tauck called “Inspiration Class”. In 2016, Tauck will take delivery of two additional new-builds named the Grace and the Joy. Jewel-class boats in the Tauck fleet were built between 2006-2011 and carry 118 Guests. The newer Inspiration Class boats are longer and carry 130 guests. Note that Viking River’s “Longboats” carry 190 guests, 46% more than Tauck’s Jewel Class and 32% more than their new Inspiration Class vessels. In the close confines of a riverboat those statistics are meaningful. The crew onboard is mostly European. On average, there are 36 crew members onboard each of the Jewel Class ships and 39 crew members on Inspiration Class vessels. The crew is supplied by a Swiss company called Scylla Tours. Scylla owns all of the vessels which are on long-term lease to Tauck. Ship accommodations are categorized in six categories on three deck levels. The Diamond Deck houses the Suites and four Junior Suites. One deck below, the Ruby Deck, has two Junior Suites forward and the rest are Standard Cabins. The most basic cabins are found on the third deck, the Emerald Deck, which sandwiched between the fitness center and crew space. Cabins are equipped with twin beds or one queen and are elevated to provide luggage storage underneath. Be sure to bring your adapters and converters as ships are equipped with 220 volt, two pin plugs to charge electronic and the like. Bedding is luxurious and the minibar is stocked with your favorite sodas and bottled water, complimentary. Robes and slippers are provided for your comfort and every cabin is equipped with a silent alarm so at the push of a button help is on the way, should you suddenly become ill and need assistance. Best Accommodations: The 14 suites found on the top deck measure a spacious 300 square feet and feature walk-in closets, marble baths and full size tubs, showers, double-bed sofa, writing desk and double floor-to-ceiling windows. Room service is offered to suites. Junior Suites are a comfortable alternative, with 183 square feet and a small sitting area. Standard Accommodations: These well-appointed and positioned cabins offer a minimum of 150 square feet and included flat screen TVs, mini bar, safes, and cabin-controlled air conditioning. Entry-Level Accommodations: The narrow and twisting stairway to access entry-level cabins on the lowest deck is shared by crew and those fellow passengers wanting to access the fitness center and massage room. We are not huge fans of the new Loft Cabins requiring guests to go up a small four step staircase to reach a picture window and small balcony area. They can be both noisy and, for some, claustrophobic. 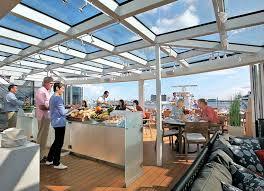 Breakfast onboard is buffet style full of fruit, meats, cheeses, juices, breads and pastries and hot and cold cereals. You may also order eggs, omelets, pancakes from the Chef’s station. Another buffet offers lunch consisting of salads, hot and cold dishes, a menu is also provided with various selections. Beer, soft drinks and juices are served. Onboard the Swiss named ships the open seating for dinner with tables for 4, 6 and 8. After the first cocktail reception you will have many dining invitations so don’t fret that you won’t have table mates. If you wish to dine at a table for 2, the Maître D will try to ensure no one else will be seated at your table. European-style dinner is a set menu with appetizer, soup and salad as well as four or five good entrée selections including a vegetarian option. Regional wines are served, as are soft drink, beer and juices. Many tempting dessert choices will be offered. An alternative to the dining room is a small intimate setting found on the top deck called the Lido bar. Here coffee and pastries are served to the early risers and light lunch offerings served bistro style. Cookies and fruit are available around the clock and some passengers play cards here to pass the time. There is a well equipped self-service coffee machine for coffee, cappuccinos, espressos, various flavored coffees and hot water for tea. A limited dinner can be served in this area with advance reservations for a party of up to 20. Dinner is not a formal affair and it is not required to dress. Men do not need to wear a suit and tie and it is unlikely that many men will wear a jacket. Dress pants and collared shirt are the norm. There is no self-service laundry, only valet style incurring significant onboard charges. Laundry is collected in the early morning and returned before the end of the day. Tauck utilizes one Tour Director for every 40 passengers. If the sailing is sold out you will find three tour directors leading three groups off the ship, plus the main Tour Director. Active sightseeing, memorable cultural performances, insider experiences and visits to UNESCO World Heritage sites are offered on a complimentary basis. Passengers may opt to use earpieces called quiet boxes to be able to hear the guides no matter what the vantage point. Bicycles and helmets are offered complimentary for passengers who wish to explore on their own. Most evening activities include a subdued musician or a movie. Themed games, cooking demonstrations or wine tastings are also offered and special events are commemorated with a performance by local musicians and lecturers. Wireless internet is available onboard but reception is spotty and limited. There are three computers in the aft on the top deck of the Lido bar. There are also two laptops that are available for cabin use loaned out in two hour intervals on a complimentary basis. There is a small library and DVD’s can be borrowed for use in the DVD players found in the suites. Television onboard will consist of many foreign language channels as well as CNN. Found on the lower deck is the fitness center equipped with a few machines and free weights. Music is provided but there is no television. Depending on the sailing there may be a masseuse and massage table onboard. These services are at an additional cost. A 24 hour hot tub is found on the top deck for your relaxation. Tauck does on occasion offer special promotions on business class airfare, although they are infrequent. Single Supplement Pricing is usually no more than 75%. On all sailings, the lowest cabin category supplement is waived. This is a wonderful bonus for single travelers. On select sailings, there are times when $1,000 is deducted from the single cruise fare. Scenic has crept up in our ratings as a river cruise line dedicated to quality with an all-inclusive product that includes gratuities, unlimited drinks, and a level of butler services for all of their guests no matter what the cabin level. Services are offered on a sliding scale – with those paying for the higher suites getting the most services. The line’s river boats are called “space ships”, a nod to the space ratios per passenger. This is a figure usually applied to cruise lines to assess their level of comfort. In the world of European river boats, size per guest (imagine yourself walking and being surrounded by an imaginary box of private space) takes on particular meaning. In the case of Scenic it translates to the fact that Scenic, when compared to competitors, could easily carry 20-25 more guests than it does. But, and here is the kicker, Scenic is not an American company and before 2014, the line made little effort to appeal to American guests. That has changed a bit. Last year, Scenic reports that sales in North America were up over 180% and they have opened a US-based office. Americans sailing Scenic will find boats filled with affluent Australians on two-week Holiday. Guests from Canada, the United Kingdom as well as South Africa constitute the bulk of the remaining passengers. Scenic has a somewhat younger, more adventurous vibe than many of its American competitors. This has to do with the long travel time from Australia but, if truth be told, it also is related to the free-flowing booze on these cruises. Being on a Scenic sailing with an average age that is 5-10 years younger than its American counterpart, like Tauck, would not be unusual. But Americans do sometimes feel frustrated getting what they want in the manner in which they expect it. This line is best suited for those who are totally comfortable being a minority in a sea of folks from other English-speaking countries. 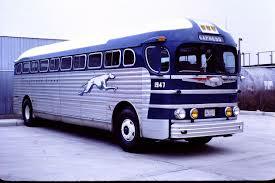 The company was founded by Glen Moroney in 1986 as a Melborune-based tour firm specializing in senior citizen touring. It is still family-owned. The company grew and the river boat division was launched in 2008 with the Scenic Sapphire and Emerald. The company now has more than a dozen ships and is doing river cruises in throughout Asia, North America, and Europe. In 2016, the Scenic Spirit will be doing cruises in Southeast Asia, an extremely popular destination in the Australian market. 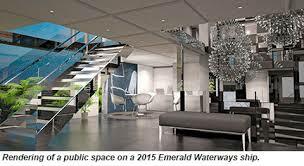 In 2014, Scenic launched a new river cruise line called Emerald Cruises. Emerald is meant to be less expensive than Scenic with fewer inclusions. The fact that Emerald was launched with new boats, makes it an attractive alternative for budget-conscious travelers who wish to vacation on a largely Australian product. In order to grow the company, Maroney and his staff have moved from Melbourne to Switzerland to better manage their European crew and port operations. Scenic staffs using traditional riverboat sources. There are some Indonesians, who provide genuine warmth and good service. But they are outnumbered by staff from Eastern Europe, a group that finds it a bit harder to smile. 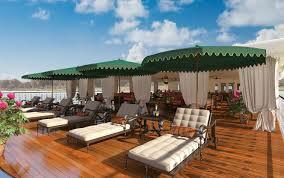 Diamond Deck guests are often found discussing the various merits or failings of their butlers. Although Scenic has significantly grown its US business, staff is too often unfamiliar with the eccentricities of American taste. Scenic’s boats are unusually contemporary in design. The operation of tours, the on-board entertainment, and even the dining is rather similar to that found aboard most European river boats. We have been surprised by the quality of the bedding, with a full “pillow menu” available as well as Egyptian lines. 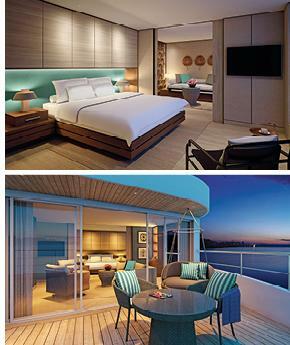 The staterooms feature mini-bars that are complimentary. We love the fact that there is turn-down service each evening. Top category staterooms feature butler service by graduates of the highly-regarded International Butler Academy. There are too many cabin categories aboard these boats, sixteen when last we checked. The entry level cabins are a tight 160 sq. ft. The mid-range categories range from 225-250 sq. ft. and offer a small, private balcony. The Royal Panorama Suites and the Royal Suites are the top accommodations at 325 sq. ft. and 315 sq. ft. Both feature sun lounges, an exclusive retractable glass window that can fold away resulting in a balcony fitting two guests. Even the entry-level categories surprisingly include the complimentary mini-bar as well as limited butler services. Scenic provides for the complimentary use of electric-powered bicycles in port. These motor-driven bikes are easier to peddle, particularly when it comes to sharp inclines. Scenic “Tailormade” is another extremely worthwhile innovation. It gives guests going ashore the opportunity to hear commentary on dozens of pre-recorded tours as guests wander about via bike or walking on their own. This is excellent for anti-social and independent types who would like to break away from group tours. The menus on this fleet are ambitious. Often, they are over-stated and the small kitchen has a hard time keeping up with anything that smacks of a special order. But give Scenic credit for, at least, aspiring to haute cuisine, something no river boat can, under present cost and size circumstances, successfully pull off. The main dining room is called Crystal. The line is experimenting with a Table La Rive, a curtained off section of the main dining room serving better food than the rest of the guests receive in a six-course meal paired with wines. This is exclusively available to guests booked on the upper Diamond Deck and it establishes a two-caste system that seems pretentious on such a small vessel. Other options for the lower-classes on-board include a smallish Italian eatery called Portobellos and The River Café, an all-day casual dining option for sandwiches, wraps, and some rather good gelato. Dining is, overall, well-received as long as guests concentrate on grilled items, avoiding versions of Aussie fast-food or imitation-American dining. We love the concept of Scenic “Sundowners”, cocktail parties held in lovely surroundings ashore. Scenic Enrich is a program of cultural immersion that comes at no additional cost. ScenicFreeChoice is, as the name implies, a series of complimentary tours available in each port. In fact, Scenic is truly inclusive and there are no tours in the Scenic Program that require additional expenditures. Scenic is definitely not for everyone. But it is one of the very best river boat products available and may well be the best choice for those who fancy exposure to non-Americans as a plus on a vacation abroad. And, although it is not always clear, all guests will, more or less, speak the same language. Scenic is on a mission, make no mistake about it, to engage and conquer the US market. Those who count them out would be foolish – the boats and on-board product are that good. To properly understand Scenic it might be interesting for you to visit our sister site, www.luxurycruiseratings.com You will notice that the top-rated cruise ship in the world is now the Europa 2 which belongs to Hapag-Lloyd. Few Americans, even sophisticated world travelers know about this ship. The fact that the vast majority of guests are German is generally not seen as a marketing plus. Americans are often intimidated to sail with other nationalities. Scenic may be a victim of this narrow-minded view. But those guests who have sailed Scenic, tell us that the most outstanding characteristic of the line is the presence of the Aussies. That tends to make for a convivial atmosphere from start to finish. Uniworld provides an intimate, boutique cruise experience onboard well-appointed river cruise ships. True to most river boats, Uniworld is limited by the size of the rivers it sails therefore cabin size and activities available onboard lack in comparison to larger, seafaring cruise lines. Uniworld offers itineraries on 13 rivers throughout Europe, as well as in Russia, Egypt, China as well as Vietnam and Cambodia. Airport transfers are included complimentary on the embarkation and departure days, and internet access and WI-FI are complimentary while onboard. Uniworld’s fleet contains many top ten rated river boat ships by the readers of Conde Nast poll. The River Queen and River Beatrice enjoy the #1 and #2 positions, with River Royale, River Countess and River Duchess falling in the top ten. Zagat also recognizes the river cruise line for Top Cabins and Top Dining. In 2004, Travel Corporation, a Bermuda-based organization purchased controlling interest in the company. Travel Corporation has varied interests in the travel industry including Contiki Holidays, Trafalgar Tours, Insight Vacations as well as Red Carnation, which operates deluxe hotels. While the partnership transformed the onboard ambience on all the river ships it acquired and created a decidedly more upscale ambiance, Uniworld like all brands within the group, continues to operate as an independent and autonomous company. That offers the river boat line comfortable funding that shields it from many market ups and downs. With an average capacity of 130 guests, Uniworld’s professionally-trained, English-speaking staff is able to provide quality service with a ratio of 1 staff member for every 3 guests. 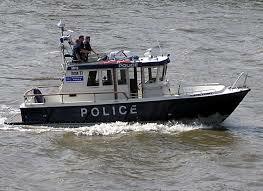 Officers tend to be European although the crew is sourced from the sailing region. Like its competitors, the majority of the crew aboard its vessels in Europe hail from Eastern European countries. Bathrooms vary from ship to ship, growing in size and elegance on the newest vessels. Marble-clad bathrooms with stylish fixtures, L’Occitane en Provence amenities and plush towels are the rule. Hair Dryers are included however some ships do require adaptors/converts for personal usages as power outlets are in 220V. Small and efficient, bathrooms on the lower decks do lack some basic features such a proper home for soap and toothbrush. Meals sometimes exceed expectations aboard Uniworld’s fleet. Table settings and menu items are borrowed from the kitchen of Mrs. Beatrice Tollman, the founder and president of Red Carnation, and invite the ambiance of being a guest in someone’s home. As possible, meals are prepared using the fresh ingredients procured from local farmers markets visited while ashore. Portion control is quite evident and second helpings are not normally offered. Food and wine aficionados will appreciate Uniworld’s exclusive Epicurean Adventurer Program offered complimentary on certain departures. The program is designed to allow guests to expand their knowledge of the relationship between food and wine and to savor many varietals throughout the course of their meal during the food and wine pairing dinner. Guests are also invited to partake in culinary demonstrations and tastings. True foodies or wine connoisseurs, might do better arranging their own, private culinary itinerary once off the boat in selected ports. Many shore excursions are offered complimentary however optional tours are offered at a cost. Tours are led by experienced English-speaking local guides and the lone Uniworld Cruise and Tour Manager. On ships in Europe, state-of-the-art Quietvox portable lightweight audio headset system are used during tours allowing guests to move at their own pace while enjoying the guide’s commentary. “Choice is Yours,” “Go Active” and “Go Gentle” shore excursions enables visitors to experience a destination at their own pace and many include special access at museums, home-hosted lunches, classical concerts, and elegant receptions in addition to the ‘must sees’ in each destination. Some itineraries, often during the off season, offer the exclusive Epicurean Adventurer Program while others cater to multi-generational groups of family and friends. Uniworld gets high grades for making the effort to differentiate its tour product but the more creative options normally come at an additional cost. 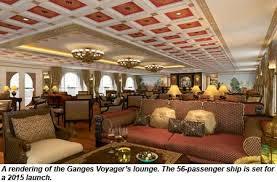 Subdued, genteel entertainment is the norm, with pianists playing in the lounge and singing standards and on occasion local cultural performances are offered onboard. Cruise managers will provide a brief explanation on the history of the region and the following day’s itinerary. Asking cruise managers to provide cultural and historical lectures is one of the downsides of river cruising in Europe. Uniworld is a west coast-based company which accounts for a higher-than-average number of clients from California and the Pacific Northwest. It is a company that enjoys a string following among retirees who enjoy the décor flair and the solid American guest orientation of the line. Uniworld does not offer five-star service but it has some of the trappings of an old-world, luxury ambiance. 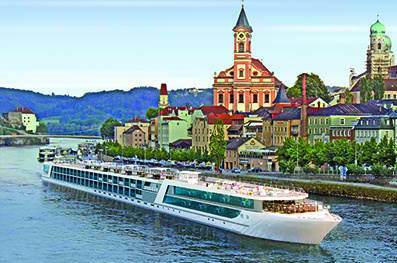 Viking River Cruises is largest river cruise line in the world. The extensive fleet is designed to navigate the world’s great rivers sailing in Europe, Russia and the Ukraine, Egypt, China, Vietnam and Cambodia. When compared with its competitors, Viking is the most aggressively expanding river cruise line. The line has been adding an amazing 12-14 new Longships each of the last two years with similar expansion ahead. Viking River is the only river boat cruise line that has launched its own cruise line. Viking currently manages/owns 48 river boats including 30 Longships. The line has been increasing its passenger count by 40% per year. 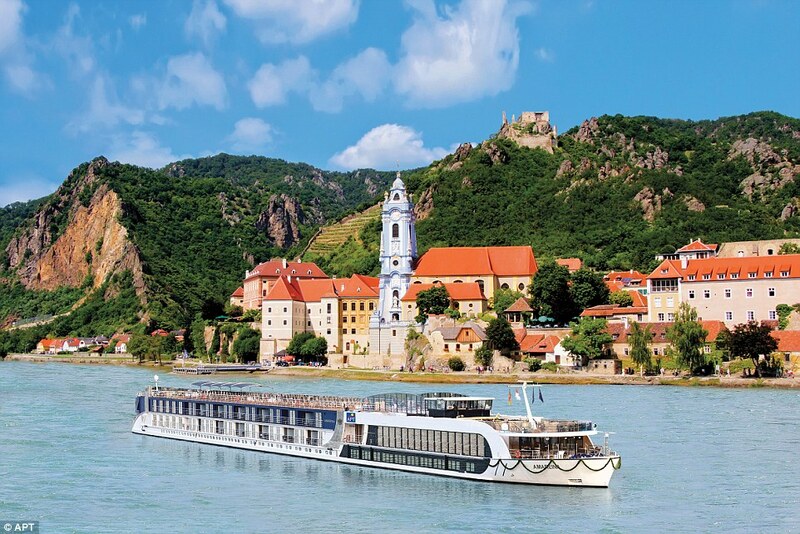 Its size has enabled Viking River to do more advertising than all of its competitors combined and one could make the case that Vikings classic take on river cruising in its ads has been responsible for large portions of the growth of this travel segment. The new design incorporated into the Longships include hybrid diesel-electric engines and noise-insulated engine rooms reducing fuel consumption by 20% as well as engine noise and vibration. Additional ‘green’ features include an onboard membrane water treatment plant, solar panels and organic herb garden. 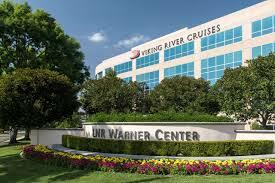 Unique to Viking River Cruises is the fact it owns 65 centrally-located docking locations along rivers in Europe. As the ports are limited and local authorities determine who docks where, ownership of docking space does give Viking Guests an advantage when time in port is limited. Despite the advantages of size and growth, Viking remains the Ford and Chevrolet of river cruising. Service can be indifferent and food ranks below that served aboard competitors listed at the top of our ratings. 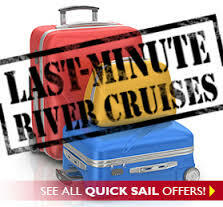 For many of its best “deals” Viking River requires that guests pay for their cruise in full at the time of booking. This is often a sign that a company has a cash flow problem. There is little doubt that Viking River has substantial debt and cost savings measures can be seen in the number of add-ons for sale as well as the tight control in areas such as food portion control. 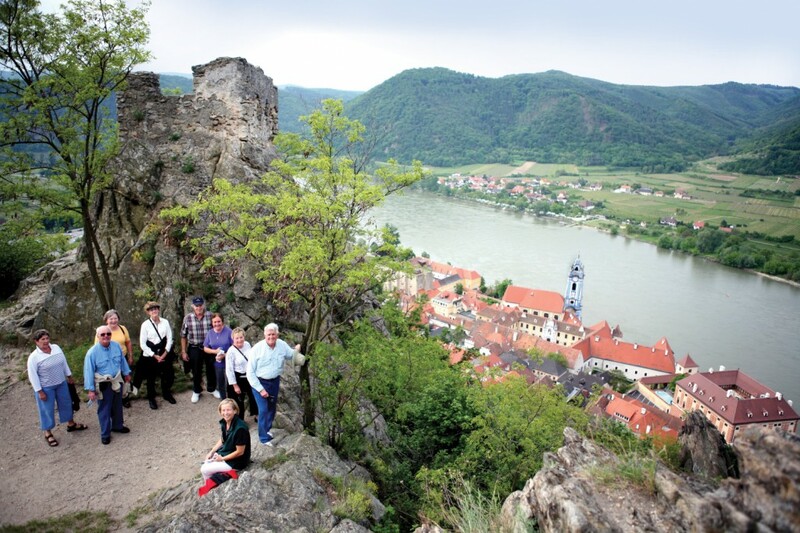 Viking River Cruises is one of the original global river cruising companies. About 20 years ago, Karine Hagen, daughter of Viking’s owner and Chairman took a multi-generational river cruise in Russia with members of her extended family. She reported back to her father what a lovely time was had by all and encouraged him to book a trip on the Volga River himself. Shortly thereafter, the Norwegian-native bought four Russian ships and Viking River Cruises was born. Established in 1997, Viking steadily increased its fleet while catering to the European market. In 2000, Viking expanded into the US market, establishing its headquarters in Los Angeles. The colorful CEO of Viking River is Torstein Hagen. Hagen was formerly the CEO of Royal Viking Line, and has also served on the boards of Holland America Line and Kloster Cruise Ltd. The company’s Board of Directors includes prominent investors and financial leaders with background in the cruising and shipping industries. As with most river cruise lines operating in Europe, crew comes from Eastern Europe with a smattering of other nationalities. The crew speaks English and has completed a proprietary training program implemented through Viking’s Swiss management team. Program Directors are native to the region, normally from Eastern Europe. While accommodations onboard river cruise ships are limited by the size of the river and the need to navigate through locks, Viking’s staterooms do offer modern creature comforts. Most ships have been renovated or built since 2000 and offer outside staterooms with picture windows or sliding doors (French balconies). Storage and closet space is cleverly designed making the most efficient use of limited space and all rooms have a private bath with shower. Wireless internet, bottled water, and premium bath products are included complimentary and most ships include televisions, safes and refrigerators in staterooms. All ships are air-conditioned. We like the Scandinavian design features on the new Longships. The interior smacks of a modern, four-star hotel in Copenhagen. Best Accommodations: Featured on the newly designed Long Ships, the Explorer Suites are the largest of all river cruise suites in Europe at 445 square feet. These deluxe staterooms include a separate living room, bedrooms and private wrap-around veranda with 270 degree views. The Veranda Suites come in a close second with a veranda off of the separate living room and French balcony in the bedroom. Standard Accommodations: French Balcony Staterooms are comfortable with a floor-to-ceiling sliding glass door, amble storage space and a queen bed which can be converted into two twins. Entry-level Accommodations: While slightly larger than the French Balcony Staterooms, the Standard Staterooms are located on the lowest decks and include a half window near the ceiling as these cabins are at water level. Anyone who has issues with claustrophia should pass on these. 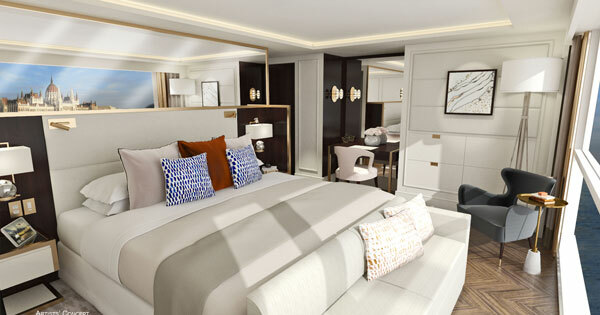 Suites aboard the new Long Ships include a large bathroom with double sinks and heated floor and mirror. Premium bath amenities are included in all staterooms as well as a hairdryer and vanity kit. Staterooms are equipped with showers while suites have both tubs and showers. Dining is open seating at set times, primarily with tables of four and six. For those who wish to be seated a preferred table near the window or for larger groups who wish to sit together, you will need to arrive promptly at meal-time as reservations are not accepted and seating is on a first-come, first-serve basis. Menus are tailored to the local region you are sailing through and while the dining room is comfortable and overall the dining is good, foodies will be disappointed having expected a higher quality and greater consistency. There is no room service. Breakfast is served buffet-style however you can also order omelets, pancakes and French toast. The fruit selection is limited and sometimes canned or previously frozen. An early-bird breakfast of coffee, tea, fruit juice and small pastries is also available at dawn each morning. The lunch buffet features salads, sandwiches and a hot entree option such as pasta. Lunch can be enjoyed on the Sun Deck while dinner is always served in the restaurant. Dinner is a fixed menu with limited appetizer and entree options. Regional wine, beer and soft drinks are served complimentary at lunch and dinner. Guests may purchase wines locally while on shore and enjoy them with dinner. There is no corkage fee. Tea is served each afternoon, which consisted of small cakes and Lipton tea. Coffee, cappuccino, tea and water are available at any time. Dress is casual. There are no formal nights however for the Captain’s Welcome Dinner and/or Farewell Dinner most people will dress country club casual. City orientation and highlights tours are offered complimentary in most ports of an itinerary. These tours are conducted by local guides to groups of 20 or 25 passengers, based upon fitness levels to set an appropriate walking pace. Additional tours offering greater depth and access to museums or specialty venues are provided for a supplemental cost. Most of these tours are proposed and can be booked once onboard however there are three which need to be arranged in advance; the Lobkowicz Palace in Prague, the Hermitage Museum in St. Petersburg and the Kremlin Armoury in Moscow. Reservations for the latter this tour must only be pre-arranged if your Volga River sailing is from Moscow to St. Petersburg, visits to the Kremlin Armoury can be booked onboard on sailings from St. Petersburg to Moscow. Onboard Viking cruises you may also take advantage of the Onboard Host to assist with personalizing your shore excursions. This host acts like a hotel concierge and can arrange for reservations at local restaurants, book a spa appointments or theater tickets or arrange for a private car service. While this is a nice amenity and does add an additional level of service to the Viking experience, we would always recommend confirming your reservations for dining at finest establishments, taking in a performance or arranging private sightseeing tours well in advance to avoid disappointment. There are limits to what the overworked onboard host can do. Life onboard Viking River Cruises is low-key and relaxed. You can expect guest lectures, cooking demonstrations or the evening lounge musicians. Other onboard activities include hands-on crafts, cultural performances and tastings of local wines, cheeses or coffees. Some guests complain of being bored at night or when there are long stretches of time onboard. Viking River Cruises’ ships do not feature a spa or gym, other than the new Viking Emerald on the Yangtze River in China. The onboard Viking Host will assist you to book a spa appointment at a local spa on European river cruises however this will severely limit your time to explore the local area. Viking offers contracted rates on international flights in conjunction with their river cruises. In order to arrive or depart on a date other than the embarkation or disembarkation sailing dates, select your preferred flight schedule or airline or arrive into or depart from an alternative city from the sailing itinerary, you must pay a $50 per person fee before your agent can be transferred to Viking’s air department. There will also be additional charges to deviate your flight itinerary to an alternative city or should you wish to stop over anywhere along the way. Viking’s contracted fares are competitive and if you book your air with Viking, they will include round trip transfers to and from the airport (assuming your flights coincide with ship/hotel check-in/check-out days), typically a $120 per person value. If you decide to take a chance and leave booking your flights sight unseen to Viking, they will confirm the reservation 75 days prior to departure and provide you with the details 3 weeks before your trip with the final cruise documents. This timing is restrictive for those who are particular about seat assignments on long international flights. 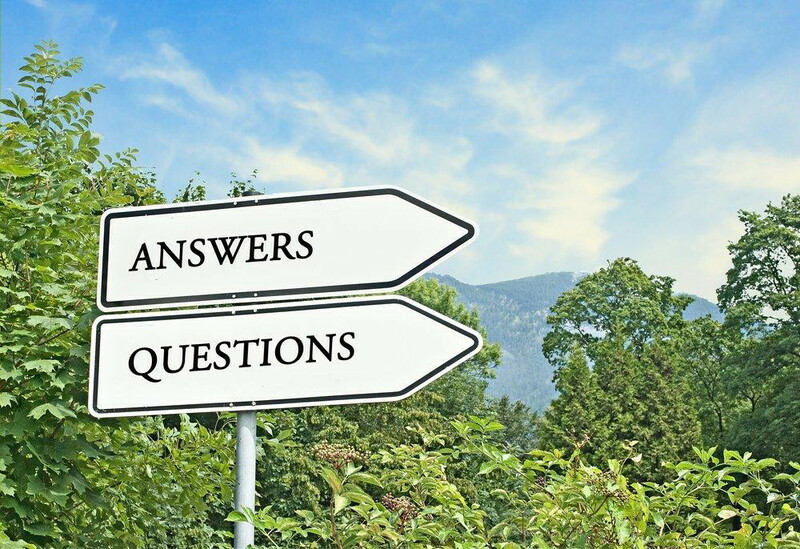 We do recommend that guests consult the “Frequently Asked Questions for Air/Sea Guests” prepared by our staff. This report discusses the best strategy to select air in conjunction with cruise or river boat vacations. We think that Viking River is more honest than some other lines in describing the experiences it offers. It is not a luxury product and makes few claims in this area. We have been generally disappointed in the manner in which the line has handled past emergencies such as high water on the Danube and low water on the Rhine. If everything is going well Viking is a viable option. But if there is a problem, we feel that the line’s customer service is less than acceptable. We do not believe that any consumer ought to be supporting any product that requires full payment far in advance in order to secure marketing discounts off a phony original price. That is, we believe, a red flag. Avalon is a wholly owned subsidiary of mainstream tour operator Globus. The Swiss-based company is a major player in worldwide tourism, carrying more than half a million passengers annually. The Avalon fleet was designed primarily to support the Globus brand of touring. Relatively small, Avalon will operate 19 ships in Europe, the Mekong Delta, China, and Egypt by the end of 2013. Avalon’s newest class of ships is called “Suite” class. The Panorama introduced in 2011 is the first of this new breed and is referred to as an “All-Suite” vessel. In river boat terms, the cabins are large at 200 square feet with sliding glass walls, but to call 200 square feet a “suite”, one must be employed in a river boat marketing department. The Visionary and Vista came on board in 2012 and the Artistry 11 and Expression joinED the fleet in 2013. Avalon’s core guests are from North America and many have toured with one of the Globus brands. On board service and amenities are not the best in class but do satisfy those who are not travel sophisticates as well as those with budgetary concerns. Avalon charters the boats it uses outside of Europe. The implication that river cruisers have more intellectual pursuits in mind as they arrive in Europe’s river banked cities and towns than those arriving in port cities on cruise ships may actually have some truth behind it. River cruisers sign up for vacations that include touring each day. Unlike ports like Barcelona which might see 40,000 cruise guests disembarked at about the same time all headed for a quiet stroll along the Ramblas, river boats drop their guests off at smaller, interior of Europe towns, where one can actually imagine encountering locals going about their business. But lately, a fairly significant number of river cruisers seem to be questioning the candor with which river cruises are marketed. Judging from the “reviews” one reads online and the first-hand accounts of returning guests, it seems clear that the river boat industry has been less than open about certain aspects of its operations. To be fair, let’s try to imagine that the cruise lines that operate in Europe behaved in the same way that the river boat industry does in preparing their guests for a sailing. The first thing we might notice is an inability to differentiate between various quality levels of product. What if Carnival, Silverseas, Royal Caribbean, and Sea Dream all called themselves “Luxury Products”? What if the consumer could not tell them apart because they all use the same terminology to describe themselves? Of course they don’t. There are premium and contemporary cruise lines. But deluxe and five-star lines are a breed apart and the very top-rated cruise ships are defined by inclusive services and highly-trained staffs capable of providing personalized, by name, services. Sellers and consumers seem to comprehend the fact that sailing with three or four thousand other folks is never really a Five-Star, luxury experience. It is relatively easy for the well-versed cruise consultant to differentiate between the major brands. That qualitative differentiation just is not available in the river cruise sector. 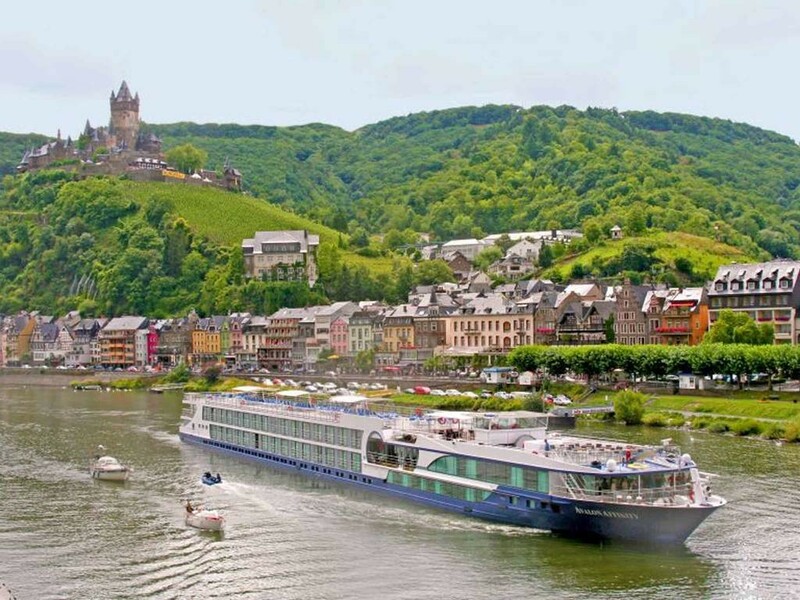 AMA Waterways claims it is “the top river cruise line operating in Europe………” Uniworld touts the fact that it is “truly all-inclusive” and that it is the “Luxury Boutique River Cruise” line. Scenic Waterways screams “Luxury River Cruising” across the front of its brochure and offers up its own stamp of approval in the form of a certification that it offers “All-Inclusive 5-Star Luxury”. Viking River is in a position to be more modest. It describes itself on the cover of its 2015 brochure as the line that explores “the world in comfort”. 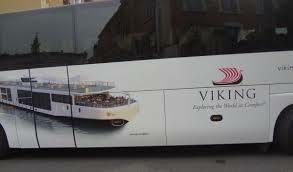 Viking claims to be the world’s “most awarded” river cruise line and says that “by owning and operating our ships” they are set apart from their competition. Its many awards are listed prominently in their brochures. Viking is the only one of the major brands that seems comfortable using terms like “remarkable value” when addressing the consumer. Tauck, promises “uncommon access” and points out that their definition of “all-inclusive” means that no options are sold and that even gratuities are included. They also claim that they provide “the world’s best traveling companions”, a claim some consumers might have difficulty quantifying. Avalon, owned by Globus, claims that “We’ve done our due diligence pre-selecting Certified Local Guides who truly are the best in the world.”The line also claims to have “the largest staterooms in the industry”. Each of these lines has won numerous awards, further blurring the lines between relative qualitative differences. Viking, for instance, wine a great many “Reader’s Choice” polls, perhaps not surprising given the number of Viking past guests versus their competitors. We recently did our own small poll of agents to determine who they considered to be the best of the cruise line brands. The results were totally inconclusive. The top experts seem to agree that Tauck, AMA Waterways, and Scenic comprise the top three. But I would have difficulty leaving Uniworld off that list. It does surely help being Viking when it comes to clout on Europe’s rivers. Viking purchased many of the former KD Rivers berths along rivers like the Rhine and Danube. They clearly have some operational clout and advantages. In our current ratings, we name Tauck as the current leader because of the all-inclusive nature of their programs and the fact that well-trained Tauck guides are present on every sailing and on every tour. Imagine what might happen if word got out that cruise lines were not always operating on the water. Suppose every cruise line brochure contained fine print that removed them from liability when they substituted a bus tour for a cruise vacation. Suppose your cruise director met you at the airport in Europe as you arrive for your cruise and announced that, due to the fact that the Mediterranean water was too high, you will be going on a bus tour instead. But that is exactly what has happened to more than a few river cruise passengers. Last year, rains combined with warming temperatures resulting in ice melting at a higher than normal rate in the Swiss Alps. This resulted in dozens of June sailings being altered or cancelled. The rate of melting snow entering Europe’s primary river routes as well as the constant threat of summer drought, are factors affecting any company’s ability to handle river boat schedules as advertised. So again, one wonders at the lack of discussion of these possibilities in river boat brochures. Cruise lines will sometimes substitute one port for another as a result of poor weather or political unrest. But the fastest-growing segment of the travel industry, European river cruising, maintains a noticeable silence on issues related to river level-related alterations. 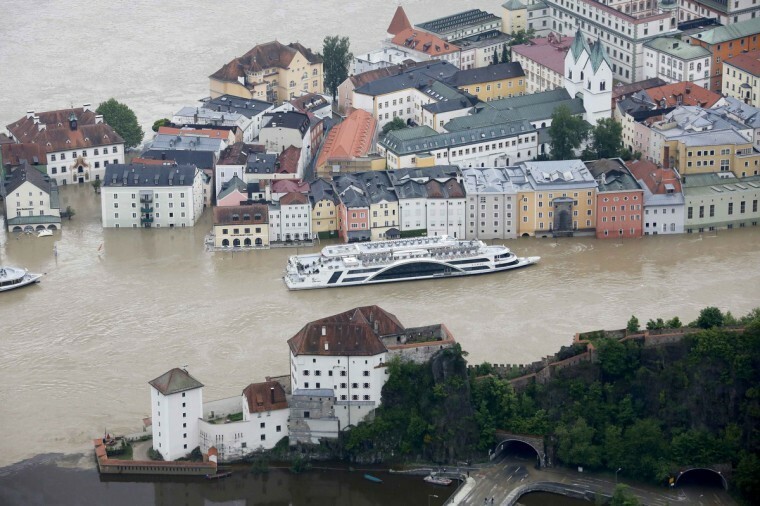 The executives we spoke to at the various river cruise lines see the summer floods of 2013 as an aberration, or as one executive put it, “a once every 100 years scenario”. Our reading of the weather records does not indicate this is, in fact, true. The river boats plying Europe’s rivers are built to exacting specifications with low bridges and the possibility of high or low water playing prominently in construction. Many of the newer boat designs allow for the near total dismantling of upper deck facilities allowing for low bridge clearance. But how are clients being advised of current weather conditions as they affect Europe’s locks? One secretive German lock keeper posts on Cruise Critic’s river boat forum’s from time to time, reporting on current water levels with a level of detail that is almost too specific to be useful. Anxious guests and some agents, however, read his posts in the fervent hope that they might provide advice of value to upcoming river boat guests. Information that often is not forthcoming from the companies themselves in time to avoid a flight to Europe and disappointment on arrival. The consumer wants to know which itineraries are in greatest danger of being amended, in which months are problems most likely to arise, and how they will be notified in advance of their overseas departure of pending difficulties. To date, it appears that their questions, and those of the agents who sell river boat cruises, are not being fully addressed. Then there is the matter of payment in advance. Two of our largest river boat company’s require that guests pay their full fare instead of deposit to secure the best of the current pricing offers. Is it fair to expect river boat consumers to assist these companies pay down their significant debt loads? In other industries, when full payment in advance is required, red flags are immediately raised. Why is no one raising flags over the pricing policies of some of the largest river boat lines on the rivers? River boating is, an often, superlative vacation experience and problems are relatively rare. But there are some major issues related to a river boat experience that deserve more careful scrutiny and attention. While the river boat industry continues with record-setting growth, more and more river cruisers are wondering when they should be traveling Europe’s most enticing rivers. Through all the marketing hype and announcements of new-builds, agents are rushing as quickly as possible to jump aboard this fast-moving river boat train. “Yes, but when should I take this trip along the ______.”? It is the voice of the consumer, the purchaser of the “hottest” product on the travel store shelves. And I’m not even just talking about what Viking River is building. The “When” question is, of course, never addressed by operators of river boats in Europe. Their job is to fill berths and April and October berths going empty is just as much a problem as mid-summer vacancies. But that has not been much of a problem in the past two years with record-setting bookings leading several of the leading lines to quietly tout that the season has been put to bed. The official industry position about when to go on a river boat vacation in central Europe has been to state simply that there are advantages almost any month you choose. That, of course, is true. April and May sailings offer fewer crowds ashore. During the summer there are festivals and less chance of rain. The fall is a time of lower prices and you just can’t beat the street sausage during late November and early December Christmas Market sailings. But it might be that travel consultants will need to add still another title to their growing portfolio of stuff they need to know: Vacation Climatologist. We just have to start paying attention to worldwide weather patterns because they are becoming so severe that they can seriously impact even the best-intentioned vacation plan. Earlier this week, I received an e-mail from Tauck saying that there was high water on the Rhone and that water levels have risen so rapidly that river navigation has “been closed”. This was a trip in which one of our favorite clients was traveling with her daughter, an important opportunity for them to spend time together. They had asked me about travel in May, and I remember saying that it was one of the months I like best along Europe’s waterways because of the cooler temperatures and the likelihood of less tourists in the towns and villages along the way. And ever since I received notice from Tauck about my clients, I have agonized over my advice. Tauck’s letter went on to explain that “due to the unpredictability of river levels,” certain options would be made available to my clients. Wait a moment. Unpredictable water levels. How do I best communicate that to a client? When should I have told these clients to travel? And how should I best answer the “When Should I Go” question in the future? The quick answer is that summer travel in Europe is always best. But is it? And if it isn’t wise to tour Europe in July and August, for example, just who is going to give the seller that information? No one. We have to become Vacation Climatologists. Sorry, but we do. So questions remain. My clients are now living on their river boat, taking bus trips by day. This is not exactly what they had paid for and, to its credit, Tauck, greeted them with a choice on arrival in Europe. They could continue on with their trip and receive a $1500 per person voucher for future travel. That seems fair, even generous since flooding was no fault of Tauck’s. The second option, which eleven couples of the sixty or so on-board selected, return home, receiving a full refund for the unused portions of their trip. Tauck would include rail transportation to Paris as well as an overnight in Paris before a flight out the next day. If Tauck arranged the air, they would make any necessary changes. If the guests had done their own air it was up to them to make changes. So in this case, I feel the supplier has done what is appropriate. But that still leaves several unsettled questions. Why do river boat companies downplay the importance of weather and water level issues when it seems to affect so many river boat activities? Then there is the rather important question of “What Did they know and when did they know it”. My guests were informed their river cruise would be a bus tour on arrival day. Not what I expect from Europe’s top-rated line. The fact is that Tauck, Uniworld, Avalon and AMA are all members of CLIA which has touted its new “Passenger Bill of Rights” that applies to guests on each of the member lines. One important provision of this document calls for timely information updates.” I do not recall that any of the member lines have proactively notified agents of pending European water level issues in advance of the guest’s departure from the States. There is no central clearinghouse for this kind of important information for travel agents. Tauck’s reaction to issues of water levels was the design of a rather clever animation video about Europe’s “River Gods”. The video explains that sometimes the river gods are in a bad mood and they don’t want anyone traveling on their territory. But, no worries, the video points out, your vacation will not be disappointing as suitable land arrangements will be substituted. Other river boat companies don’t even touch the subject. Legally, it would appear that no river line is required to advise booked guests in advance of changes to their itinerary. This is covered in the fine print. River boat companies do not have any standard compensation model for cruises that turn into bus tours. In 2014, mid-summer temperature records that had stood for literally hundreds of years were shattered by Europe’s hottest summer since records were kept. At the moment this is written, river boats from many companies sit and wait on the Upper Rhone for water levels to go down. The river’s “traffic lights” are, in many cases, not working. Thousands of cruisers are affected. CLIA cannot tell us the number of river boat departures that fail to operate, as scheduled, due to high or low water levels. One percentage I’ve been given is 3%. I think that figure must be low. The Captains of the boats now stranded cannot provide any clear picture of what comes next. They simply don’t know and there is a clear breakdown in the information links between waterway management and the lines that use their services. We now know that portions of Europe have experienced so-called “mega heat waves” in mid-summer in 2003, 2010, and 2014. In 2010, temperatures in Moscow reached daytime highs of 101F causing massive fires. The death count of the 101F heat wave in Russia alone is now said to have killed 55,000 people. These were the warmest summers on record in Eastern Europe since the 1500’s. The rain from the Alps swells Europe’s river in late April and May, severe heat and drought are becoming serious problems in late June, July, and August and, even if the river boats are operating perfectly with “just right” water levels, I wonder about counseling guests who may not be in the best of health to deal with the possibility of temperature extremes while walking ashore. The fall usually means the end of the draught but rains begin and the rivers begin to swell again. Suppliers just don’t train agents to be weather climatologists. The brochures never discuss the increasing risks of high or low water or stifling summer heat. Marketing people prefer to not deal with negatives. So it falls on us to try, as best we can with limited resources, to tell our clients “When to go”.